Early one morning in the township of Avadi, a woman who was on her way to attend a relative’s wedding falls victim to a chain-snatcher and loses her life in the process. The very same morning, Karthik, an up and coming young businessman is found shot dead in his car in the middle of the road — the only witness to the incident being his employee Drishti who was in the car with him at the time. The responsibility of getting behind the root of both incidents falls on Inspector Satyajit an intrepid and honest police officer, and his team who get cracking on both cases immediately. But as the investigation proceeds further, the incidents and the stories of those involved get increasingly confused and murkier. What illegal deals was Karthik involved in? Did these deals cause his untimely death? How is all this connected to the housewife who was killed the same morning? What is the part played by the mysterious Gun Club in all these events? Follow Satyajit as he attempts to uncover these dubious questions. Arun K has lived most of his life in Chennai. He is a movie buff, avid traveler, and reader. He likes to read crime novels and management books. He has worked on scripts for short films before deciding to author a crime novel. Murderous Greed brings out the dark side of humanity. 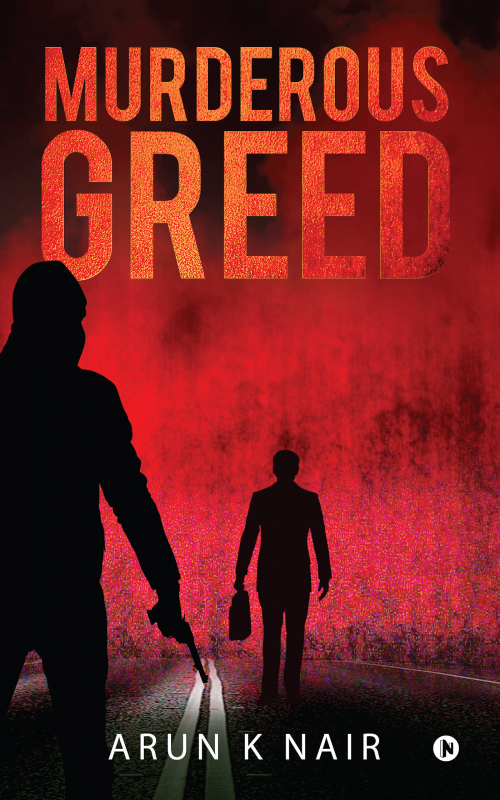 The underlying theme of the story is greed and how it goes beyond the realm of human values and friendship.